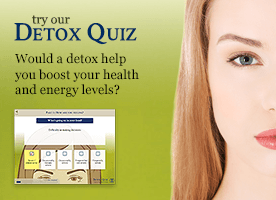 Natural Health News — Nutrition experts at the famed Weston A. Price Foundation (WAPF) has warned the US food and Drug Administration (FDA) that plans for salt restriction pose a health threat to the health of people of all ages. In comments submitted to the agency this week, WAPF noted that by entitling their document “Approaches to Reducing Sodium Consumption,” the FDA has signaled that it has already decided that Americans’ sodium consumption should be reduced. But neither history nor the scientific evidence support this approach. “A study from 1991 indicates that people need about one and one-half teaspoons of salt per day,” says Sally Fallon Morell, president of the Weston A. Price Foundation. Salt plays a critical role in body physiology and brain function. In the elderly, lack of salt is associated with increased hip fractures and cognitive decline; low salt diets in growing children predisposes to poor neurological development. Proposals to restrict salt cite benefits to hypertension. But only 30% of the population experiences a slight reduction in blood pressure on a salt restricted diet, while 70% show no benefit. 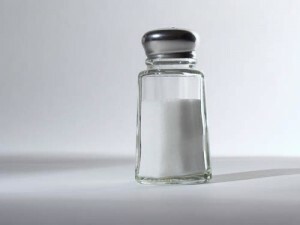 According to the WAPF recent studies show a correlation of salt restriction with increased heart failure and with insulin resistance leading to diabetes. Studies show that even modest reductions in salt cause an increased risk of cardiovascular disease. Higher incidence of inflammatory markers and altered lipoproteins are also found by researchers evaluating those on salt reduced diets. These factors are precursors to metabolic syndrome, which predicts heart problems and diabetes. Both sodium and chloride, the components of salt, are needed for digestion. These elements form the basis of cellular metabolism and our only source of adequate intake is salt. The Foundation also cautions the FDA that salt reductions will increase food safety risks. Salt is a traditional food preservation medium with an excellent track record. Artisan cheeses, preserved meats like salami and traditional pickled foods like sauerkraut also require salt to prevent contamination by pathogens. “Our biggest concern is that with FDA dictates against salt, manufacturers will add imitation salt flavors like Senomyx to processed foods,” says Fallon Morell. The Weston A. Price Foundation is a non-profit nutrition education foundation dedicated to accurate scientific information about diet and health. It’s fully referenced commentary on the proposed salt restriction is available here.